When you begin to explore bending tube and pipe for your company a bending machine will surely come up. Then you search the internet and it seems like the choices of bending machinery goes on forever. Couple that with terms like NC, CNC, roll bender, rotary draw bender, and manual bender. Just to name a few terms that you read about in the bending world. As a result, the task of finding your company a tube bender can be quite the upfront homework assignment. Undoubtedly, if new to bending you have a big learning curve to tackle to get the right machine. The most asked question is what range can a bending machine bend? 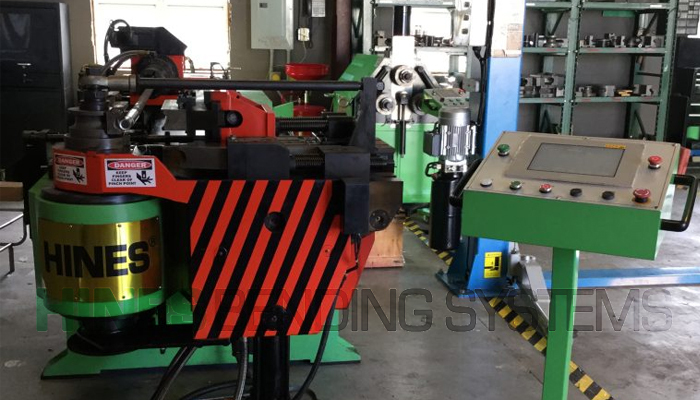 What is the outside diameter range of a bending machine? 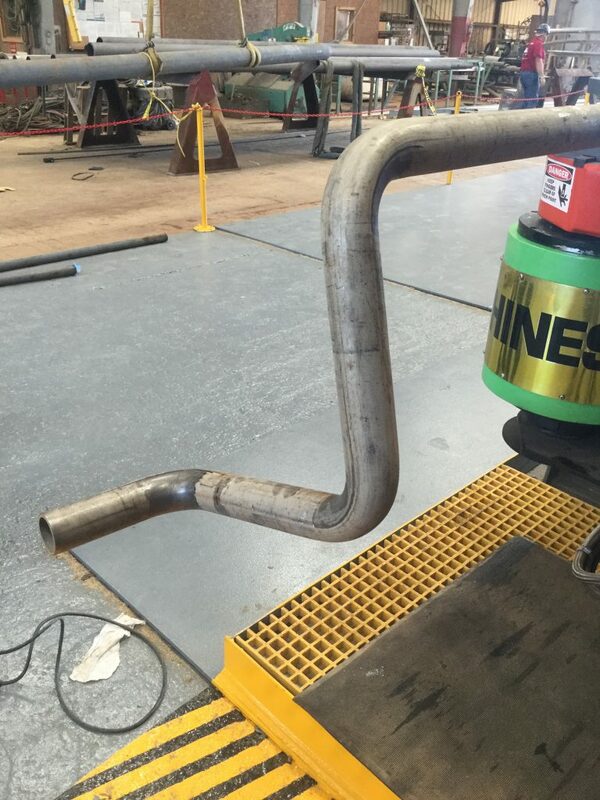 One of the common thoughts on a bending machine is that one machine can bend whatever you want. That is to say, you have a one size fits all way of thinking. For instance, you come across a machine that bends 8 inch outside diameter (OD) tube. A very common question is, can this one machine also bend your ¼ inch OD tube? The simple answer is no. But why? When you look at the space and the mechanics of bending it makes more sense. The space required when you are bending an 8 inch OD tube versus a ¼ inch OD tube is huge. On a pipe bender engineered to bend 8 inch OD, bending ¼ inch OD is like trying to cross the Grand Canyon on a motorized arm that you can only go halfway. There is just not a long enough clamp reach available on the machine to cross the space successfully. Given this point, you will see machine models that have a listed outside diameter bending capacity. 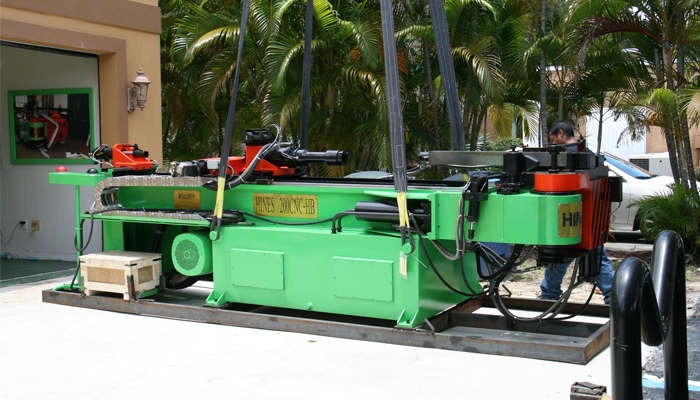 In some cases, purchasing two machines to cover the full range of your bending may be necessary. What is the smallest and largest radius range of a bending machine? Equally, a bender will have a cap put on the largest radius you can bend, and the smallest. 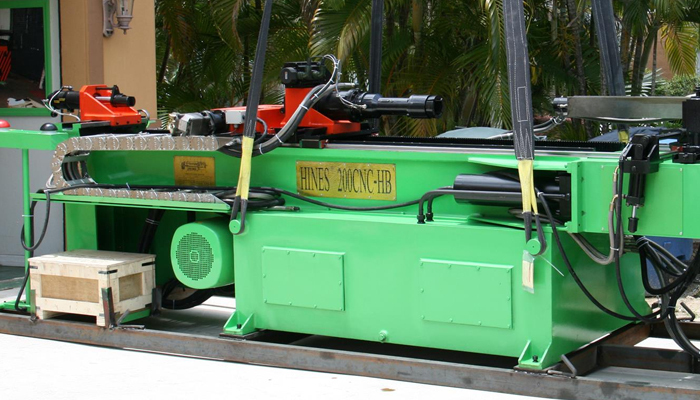 To be sure, most machine models will cover a wide range of radii for your outside diameters. For instance, 1-1/2 times the outside diameter or 3 times the outside diameter being the most common radii range requested. On the other hand, there are bending jobs requiring a specified OD with a larger radius than your machine capacity. For example, a 4 inch OD with a radius that exceeds a machine set radius capacity of 18 inches. Instead you want to bend a 22 inch radius. 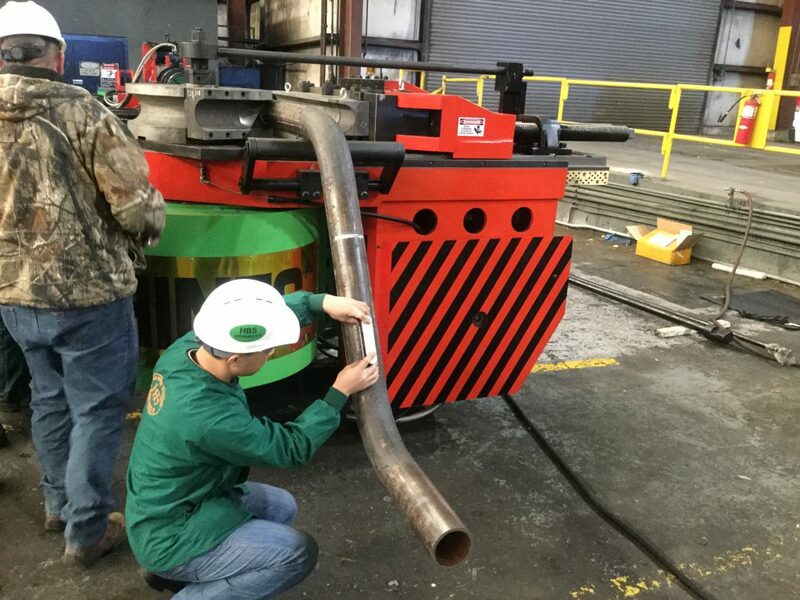 In this case, companies like Hines Bending Systems will provide a custom machine option for you that can extend the radius capacity of the machine. 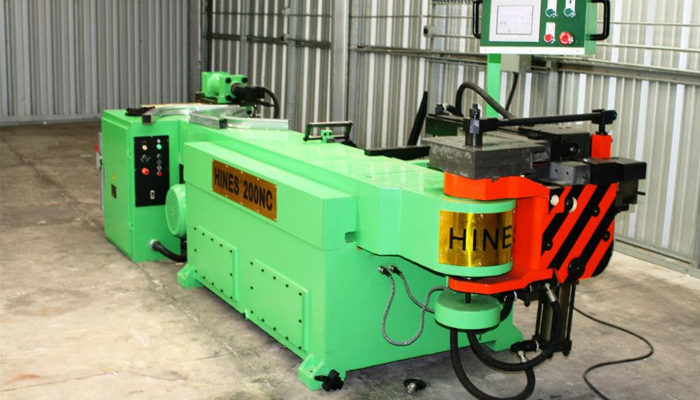 As long as your bending specs are known upfront a machine can often be customized to suit your needs. 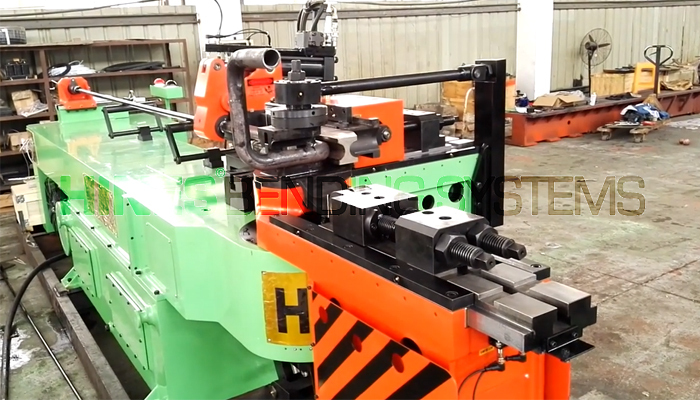 What is the thinnest wall and heaviest wall range of a bending machine? Your bending wall thickness range depends on several factors. Most noteworthy on the thinnest wall you are bending is the tooling you use. 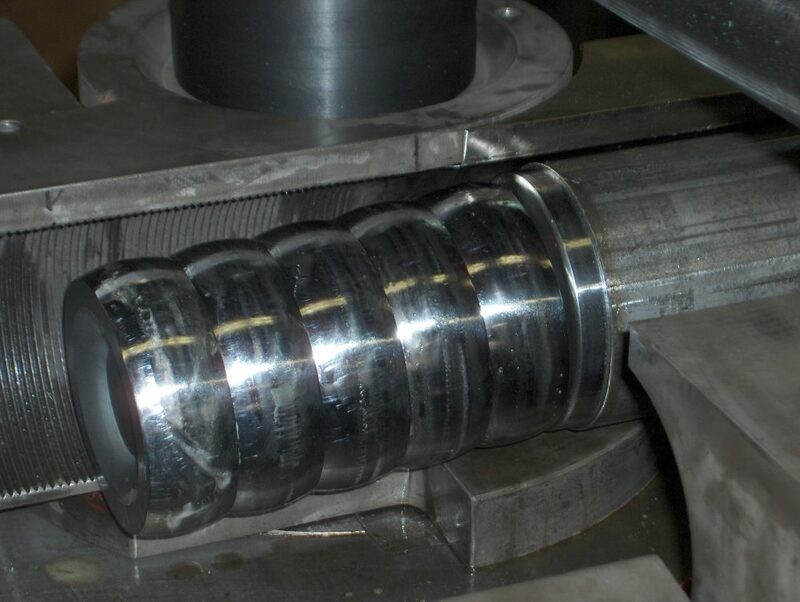 Machine tooling supports the tube/pipe inside and out during your bending process. This tooling includes a mandrel, bend die, pressure die, clamp die, and wiper die. 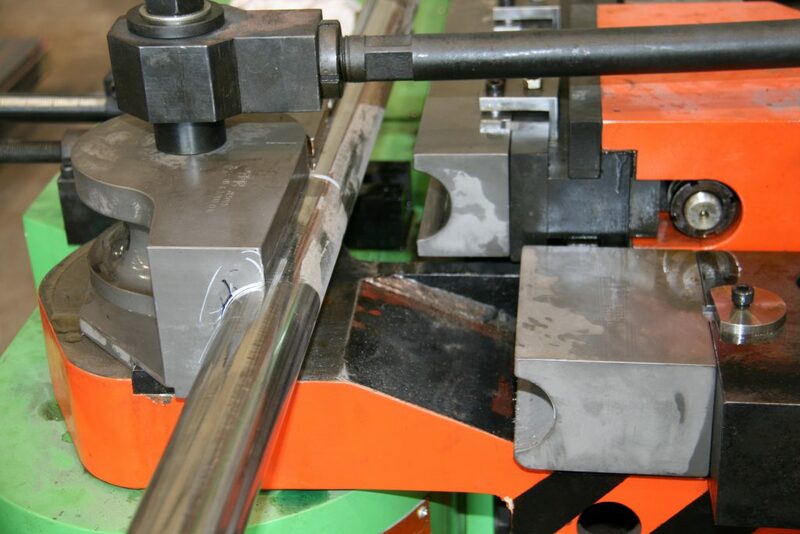 For this reason, having a machine with mandrel capability and wiper die capability is key for thin wall tube/pipe. On the other end with heavy wall, your machine needs to have enough torque/tonnage to pull a heavy wall pipe around the bend die. If a bending machine has a capacity of bending .200 wall and you need to bend .550 wall then the next size model may need to be considered. 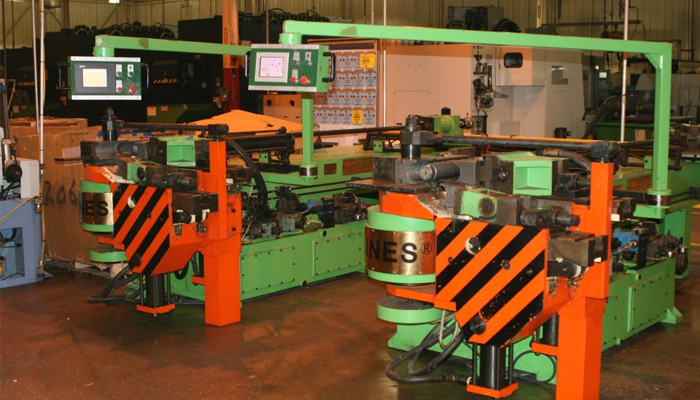 In the big picture, your bending machine has several ranges to consider. 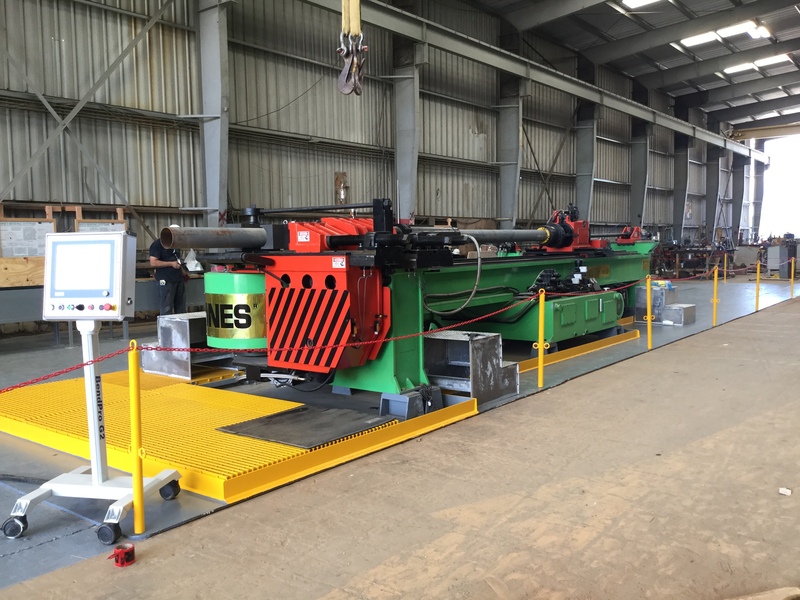 It is most helpful if you have all of your bending specs available to determine the right machine for you. 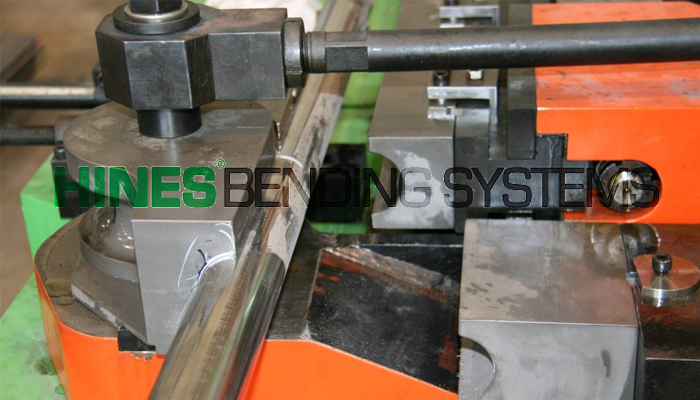 Hines Bending Systems prefers to look at all your options and choose the best solution with the most economical outcome. 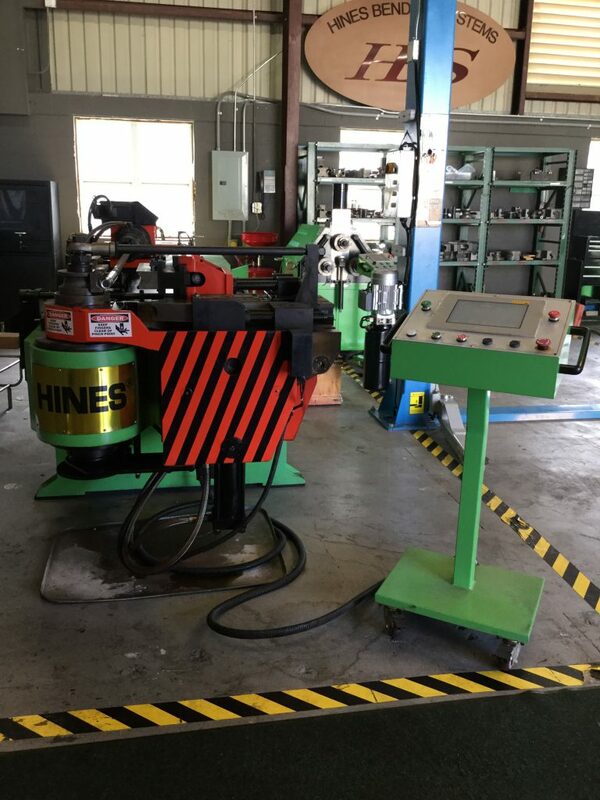 If you are new to the bending industry or want a clear cut path to the bending machine you need to replace an old one the experts at Hines Bending Systems are there to help you.